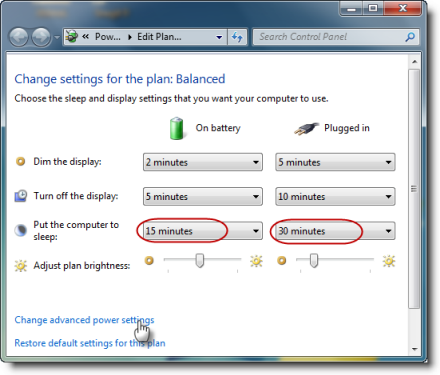 If you power OnSign TV with a Windows device, make sure the default power option is not the sleep mode. Type “Power Options” in the search box on the taskbar. In the newly appearing window, click on “Change when computer sleeps”. Select “Never” from the drop-down list for both, “Turn off the display” and “Put the computer to sleep” under the “Plugged in” column.